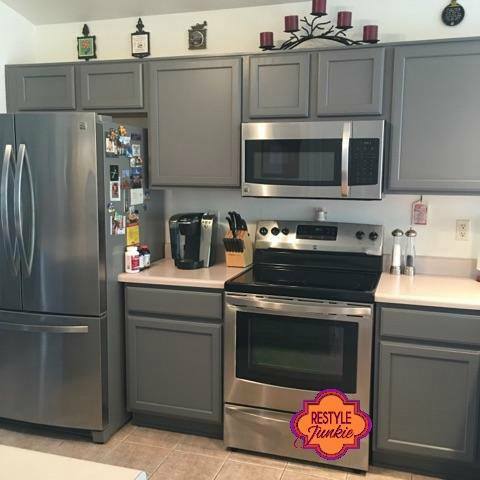 Restyle Junkie made over these kitchen cabinets with custom mix of GF Driftwood and Seagull Gray Milk Paint and sealed with GF's water based High Performance Topcoat in flat. Looks great!! Check out Restyle Junkie at http://www.restylejunkie.com/. Sign up for one of their amazing diy classes or see what they can do for your cabinets! You can also visit them in person at 625 W Deer Valley Rd, Ste 108 Phoenix, AZ to purchase GF products!